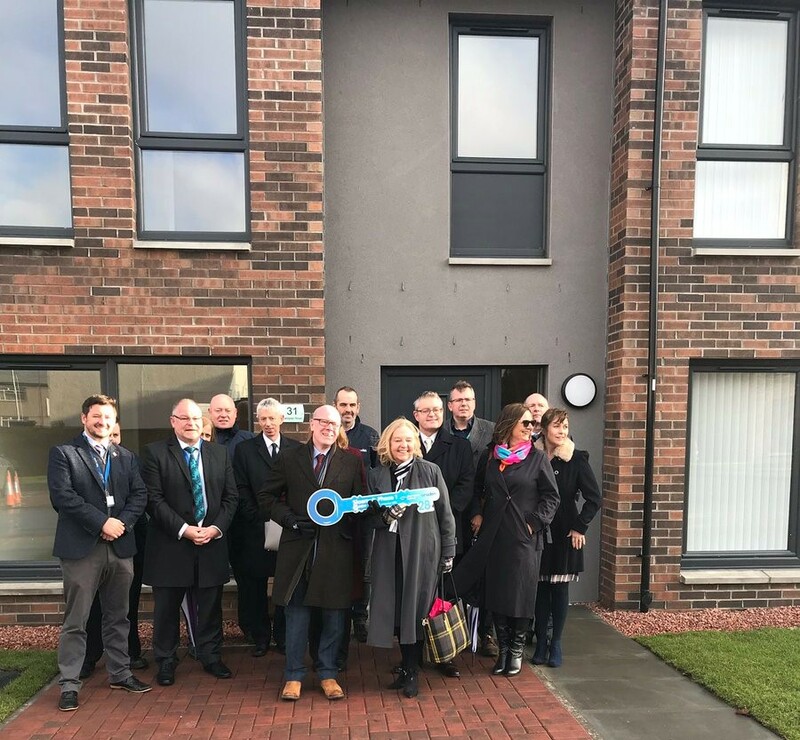 Kevin Stewart, Minister for Local Government, Housing and Planning visited Slaemuir in Port Glasgow yesterday with Stuart McMillan MSP to hand over the final house of a new £5m, 28 home development to its new resident, Anne Deighan. Two years ago, River Clyde Homes (RCH) completed a consultation exercise to gather residents’ views on the future of the 13 maisonette blocks in Slaemuir. They were given the option of continued maintenance and repair or their homes. The outcome showed a clear indication that the majority of owners and tenants expressed the opinion that these blocks should be demolished and replaced with new homes. The new 32 homes are just the first phase and once the next two phases are built, the overall Slaemuir development will comprise 96 new homes, built in partnership with the Scottish Government and Cruden Building and Renewals. • High quality, but affordable. “We are delighted to have completed the first stage of the Slaemuir development in Port Glasgow – building 32 high quality and energy efficient new homes. We are now in the process of building on the cleared site to providing a further 64 new homes as we replace all of the low-rise blocks and breathe new life into this area. Phase 2 of the Slaemuir regeneration is about to begin, with the demolition of 3 1960s blocks to create space for 36 new homes. Our 20 home development in Mallard Bowl in South West Greenock is expected to be handed over by the end of the year and site works will begin soon at James Watt Dock on the historic Greenock waterfront.